Comfort food all the way! 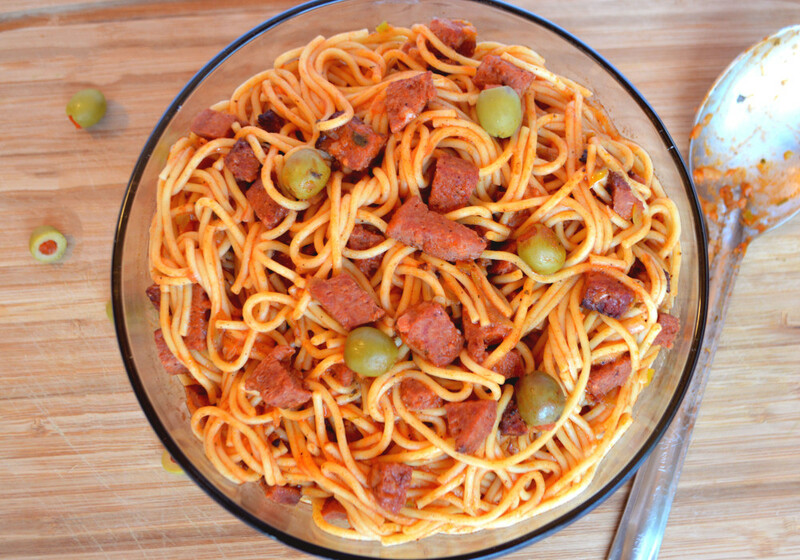 I LOVE Dominican Spaghetti or how some people may call it “spaghetti with salami”. This is such an easy and savory recipe! I get excited every time my father in-law ask me to make these spaghetti! I wanted to make a spaghetti recipe without Goya’s Culantro and Achiote packets because I wanted to make it a little healthier, because this is totally not healthy. The point it that it taste amazing without it! Which was really exciting considering that I put those packets in everything! If you want to make a quick savory dinner, this is the recipe for you! Don’t forget to make tostones or fried sweet plantains on the side! Enjoy!